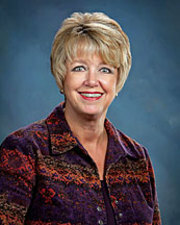 Laurie was born and raised in Eureka, and received her BA degree from Humboldt State University. She and her husband Dennis raised their two children here. She has worked in the community at various jobs in banking and real estate and knows this community well. Laurie says, "I do have some advantage as a real estate agent because I have lived here my entire life and have made many business and personal connections. I love this area and enjoy seeing the positive changes that make Humboldt County such a great place to live. Whether you are trying to sell your home or buy a new one, I am eager to work with you to help you make the connections you desire."